When it comes to shopping, who doesn’t want to spend less for a quality product? This is especially important when you shop for a vehicle. You know you’re about to make a big financial commitment and that this is one of the most significant purchases you’ll make. This is why when you come across INFINITI specials near Gretna, LA, you don’t want to squander the opportunity to get the ideal vehicle at a price you love. Fortunately, there are a few things you can do to help ensure you qualify for this pricing. The first thing you should do when you start getting serious about shopping for INFINITI specials is to dust off your budget. You may think you have a good handle on your finances, but it’s critical you give your money situation another look. You have to be sure you know how much you can spend and what you can comfortably afford each month. Evaluate your income and expenses, and leave plenty of room for your car payment. Set a firm price range and hold fast to that amount. If you consistently pay your bills on time and have low credit card balances, your credit should be in good shape. It doesn’t hurt to know for sure what your score looks like. You’re better off finding out now rather than when you get to the dealership near Gretna, LA. This way, if you have some improvements to make, you’ll have time to raise your score. Plus, you don’t want bad surprises at the dealership. If you don’t think you’ll need your current vehicle, why not put it to good use and put it toward your next purchase? Ask the dealer how much value your current vehicle has. Even a modest trade-in can help you qualify for INFINITI specials. You’ll need to make a down payment at the dealership near Gretna, LA. It certainly won’t hurt to put down a little extra. The more you put down, the less you’ll pay per month. You may even get your purchase price down to an amount you can better afford or for which you can qualify with more confidence. There are many dealers to choose from in and near Gretna, LA. 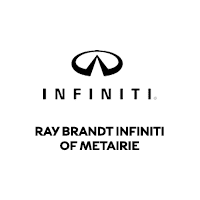 However, for INFINITI specials, you should visit the team at Ray Brandt INFINITI.